The flag of New Zealand dates back officially on 24 March 1902, but is used as the national flag since 1867. It consists of a blue background on which stand two elements : the Union Jack in the canton (upper left corner at the hoist), and the Southern Cross, partially shown as only 4 out of 5 stars appear. The Union Jack evokes, as all the flags of the Commonwealth, the allegiance to the British Crown. At the wind, the constellation of the Southern Cross, that is used in the southern hemisphere (where the North Star is not visible) to distinguish the Southern sky. It is a strong symbol of belonging to the southern hemisphere (as on Australian flag). In New Zealand, a strong debate has been opened about the flag around 80s. The Prime Minister suggested a change in the composition and design of the flag to break free from its "Commonwealth" reference. To the lack of enthusiasm of the people, the idea was abandoned. It was reopened in 2003, and the public was asked to come forward to support the project. Once again it failed, and the opponents to flag transformation campaigned actively to prevent it. The idea was to incorporate or adopt as principal emblem a silver (white) fern, as the national rugby team, the �all blacks�. You can download it in different sizes, in a decidedly modern design for your personal use, or for wider use. New Zealand's flag is available in 4 different sizes. 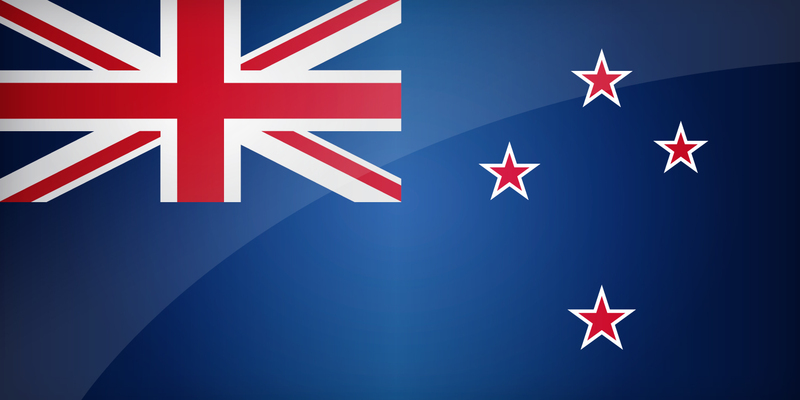 Keywords: Flag new zealand wallpaper, New Zealander, New Zealand, National new zealander flag, banner, pictogram, country, icon, New Zealand icon, international, Wellington, Auckland, Wellington, Christchurch, Australia. This page has been viewed 4410 times.